The 2019 Reading of the Sacred Texts has been scheduled for Wednesday March 13th. The reception will begin at 6:30, with the talk at 7:00pm. Carla DeSola is a choreographer, teacher, and performer who has built her reputation as a pioneer and advocate of liturgical dance over more than 40 years. In 1974 she founded the Omega Liturgical Dance Company which was soon based at the Cathedral of St. John the Divine in New York. In the 1990s she founded the Omega West Dance Company in the San Francisco Bay area. More information is available on the event's page. “What Makes a Text Sacred?,” John Pairman Brown’s presentation for the Friends of GTU’s Flora Lamson Hewlett Library in 1993, gave rise to a series of explorations of sacred texts. Each year since then, the Friends have invited a speaker with a particular connection to a “sacred text,” written or oral, traditional or new, within a canon of scriptures or drawn from outside a religious tradition. The presentations, held each spring, provide fresh insights into the words that shape our sense of the sacred. They are open to the general public as well as to the GTU community. Video from our latest lecture, and an archive of past sacred texts speakers (with links to video, audio, or document files) can be found below. Other selected recordings and documents can be accessed through the GTU Archives (archives@gtu.edu) in the Hewlett Library. Please find the archives of the past sacred texts speakers below. "Can We Do That? Reading Sacred Texts as They Read Us"
How—with what legitimacy, rationale, skill, and effect—can we address fresh questions to our sacred texts? A certain strand of scholarship has valorized objectivity on the part of readers, strict attention to original historical contexts. And yet we also know from the arts that those who create such texts are deeply responsive to changing times. Our eyes and ears will not perceive quite the same world as did the authors of our texts. With the assistance of some hermeneutical tenets to guide interpretation, we will read one scene featuring Priam and Achilles from Homer’s Iliad book 24 and another of David and God narrated in the Hebrew Bible/Old Testament’s 2 Samuel 5-7, viewing also a Baroque artwork of God and David. Since both scenes involve the workings of compassion, we will engage the question of our own capacities to read such material help or hinder us, and how deep texts may prompt compassion in us. 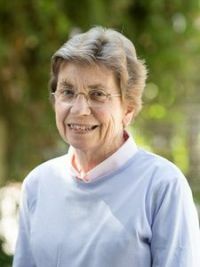 Barbara Green, OP is Professor of Biblical Studies at the Dominican School of Philosophy and Theology at the Graduate Theological Union. Stephen A. Crist delivered the 25th Annual Reading of the Sacred Texts on March 9, 2017, in the Dinner Board Room. Crist is Professor of Music History at Emory University. His publications on J.S. Bach and his contemporaries, early Lutheran hymnody, and jazz in the 1950s and 1960s have appeared in many books and journals. He is past president of the American Bach Society and the Society for Christian Scholarship in Music. His book on Dave Brubeck's iconic 1959 album Time Out is forthcoming from Oxford University Press. As 2017 is the 500th anniversary of Martin Luther's 95 Thesis, this is an opportune moment to consider the legacy of Lutheran hymnody during the past five centuries. The lecture will focus on the origins and reception of the famous Passiontide hymn "Herzliebster Jesu," which was written during the Thirty Years War (1618-1648). The hymn was subsequentially used in J.S. Bach's St. John and St. Matthew Passions during the 1720s. The hymn entered British and American hymnody in the late 19th century, through Robert Bridges' translation as "Ah, Holy Jesus, How Hast Thou Offfended" in the Yatterdon Hymnal (1897). As representative examples of this hymn's broad reach and current resonances, Crist will examine settings by organist Pamela Decker (2005), choral director John Ferguson(1991), and the singer-songwriter and multi-instrumentalist Sufjan Stevens (2012). Dr. Rita Sherma delivered the 24th Annual Reading of the Sacred Text on February 25, 2016. Dr. Sherma (PhD, Claremont Graduate University) is the first Director of the Center for Dharma Studies and Associate Professor of Dharma Studies. She taught most recently at the University of Southern California as the Swami Vivekananda Visiting Faculty in Hindu Studies. Dr. Sherma is the founding Editor-in-Chief of the International Journal of Dharma Studies.The Mira and Ajay Shingal Center for Dharma Studies helps scholars and students from the Hindu and Jain Dharmic heritage communities and other traditions understand Dharma in its multidimensional richness, and encourages cross-cultural and interreligious understanding. The 23rd Annual Reading of the Sacred Text event features a lecture by the Venerable Thepo Rinpoche, the 8th Thepo Tulku. From 1975 to 1980, he worked at the Library of Tibetan Works and Archives in Dharamsala, India, and served as a special cultural advisor for the Smithsonian Institution Tibetan Library. In 1983, he moved to Northern California, and has worked as an activist for the Tibetan cause in various capacities: as a founding board member of the Bay Area Friends of Tibet in 1983; a board member and co-founder of the Tibetan Association of Southern California in 1990; President of the Tibetan Association of Northern California in 1994; and as Coordinator for the Tibetan Resettlement Project beginning in 1993. He is currently a board member for the Tibetan Association of Northern California and the Santa Barbara Tibet Summit. Robert John Russell, Director of the Center for Theology and the Natural Sciences, and Ted Peters, Emeritus Professor of Systematic Theology and Ethics at Pacific Lutheran Theological Seminary, delivered the 22nd Annual Reading of the Sacred Text. The lecture asks the question: How can we respond to the challenges of reductionism and atheism and bring the two books back together into a “Theology of Nature” that uses the method of “Creative Mutual Interaction” (CMI) between natural science and Christian theology? GTU Dean, Vice President for Academic Affairs, and the John Dillenberger Professor of Christian Spirituality. A past president of the Society for the Study of Christian Spirituality, he is the editor of The Blackwell Companion to Christian Spirituality (Wiley-Blackwell, 2005) and Christian Spirituality: The Classics (Routledge, 2010) and translator of The Venerable Bede: On the Song of Songs and Selected Writings (Paulist Press, 2011). Above link is to video. Dean of the College of Arts and Sciences and Professor of Religion at the University of La Verne, Jonathan L. Reed provides the 20th Annual Reading of the Sacred Texts. He examines the importance of archaeological excavations and studies for understanding the rise of Christianity. Focusing on Galilee as part of the broader Mediterranean world under Roman rule, Reed examines several key demographic trends that shaped the setting in which Jesus and his first followers lived, and in which the Gospels must be read. Above link is to video. William K. Warren Professor of Theology, University of Notre Dame, and author of the series A Marginal Jew: Rethinking the Historical Jesus. Above link is to video. Select transcript to view as text. Professor of Hebrew and Comparative Literature, University of California at Berkeley. "What Really Happened on Mount Sinai"
Rabbi Lawrence Kushner, widely regarded as one of the most creative religious writers in America, presented the 2003 Reading of the Sacred Texts. Through his lectures, articles and 11 sophisticated, accessible books on Jewish spirituality and mysticism, Rabbi Kushner has helped shape the present agenda for personal and institutional spiritual renewal. His most recent book is Jewish Spirituality: A Brief Introduction for Christians, and he is now serving scholar-in-residence at the Congregation Emanu-El of San Francisco. Rabbi Kushner has said "Your degree of religious tolerance is a barometer of your spiritual development." A Sacred New Testament—But What About the Women? Considered to be Europe's leading feminist New Testament scholar, Dr. Schottroff is the author of the ground-breaking Lydia's Impatient Sisters: A Feminist Social History of Early Christianity. Her careful documentation of the first generation of Christian women provides testimony to the courage and spirit-filled possibilities of the early church, and offers an illuminating methodology for how we might understand the Bible as a source of life-giving power for the everyday lives of women. What Makes a Text Sacred?